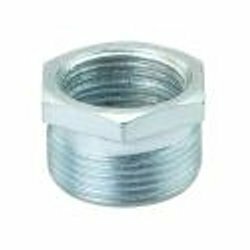 Size: 25x20 mm/1"x¾", 32x25 mm/1 ¼"x1", 40x32 mm/1 ½"x1 ¼", 50x40 mm/2"x1 ½", 50x20 mm2"x¾", 50x25 mm/2"x1", 50x32 mm/2"x1 ¼", 40x20 mm/1 ½"x¾", 40x25 mm/1 ½"x1", 32x20 mm/1 ¼"x¾"
Sizes: Available in all sizes. 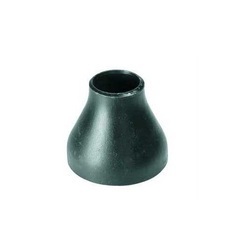 Owing to the presence of our expert team members, we are able to offer a wide range of Cast Iron Pipe Reducer. Keeping in mind ever-evolving requirements of our respected clients, we are offering a premium quality array of Cast Iron Reducer. We are persistently striving to sustain our high credibility in the market by manufacturing a commendable array of Cast Iron Reducer. We deal in Cast Iron Reducers that are appreciated for their high strength, easy installation and quality. These reducers are made up of super quality material and offers temperature and corrosion resistance at its best. These reducers are used for the purpose of reducing the bore size of pipes.